The 2019 Marucci Cat 8 BBCOR bat was refined for two years before being released to the public. 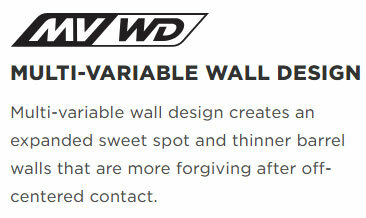 Stronger alloy, Faster swinging, more Forgiving. Get your Cat 8 BBCOR Bat today, right here at CheapBats.com! No Hassle Returns, Batisfaction Guaranteed! Pros: One of the nicest BBCOR bats ever made. The Cat 8 BBCOR is solid. Side by side, the Cat 8 out hits last years Cat 7 BBCOR without a doubt. The Cat 8 did not sting or vibrate my hands, where the Cat 7 did just a tiny bit. The baseballs were simply coming off the Cat 8 harder than the Cat 7. The Cat 8 hits and swings like a $450 composite bat. Pros: After using the Cat 6 and Cat 7 for the past two years we did a demo of the Cat 8 and my son was instantly a fan. He says the Cat 8 is improved over the older Cat models. He is very happy with the bat. Pros: The 2019 Marucci cat 8 is the best BBCOR I have ever used. Solid pop and power. No sting. Pros: The Marucci Cat 8 BBCOR is solid and hits great. It is very comfortable to swing. No sting. Pros: Hot! Loud and hits hard. No sting in my hands. I am 15 and use it almost every day. Pros: Unelievable pop off the barrel. Thick grip. Good looking graphics. Cat 8 is the real deal. Pros: Love it. Thanks for the deal and the fast shipping! Pros: Devastating pop compared to my Omaha bbcor. I love it. Could not be happier with my new cat 8. Pros: As hot as they come. Don't spend more money on other bats, the Cat 8 is the best bbcor out. Save your money and get the Cat 8. Pros: I never hit a home run in a high school game until i used the cat 8 bbcor. I am hitting it farther than ever before. Pros: Excellent feel off the bat. The bat feels solid and strong and makes the hitter feel strong. Excellent pop and no sting. Loud metal ping. Pros: So much pop! I am crushing the ball with it. Pros: Good pop. Great balance. 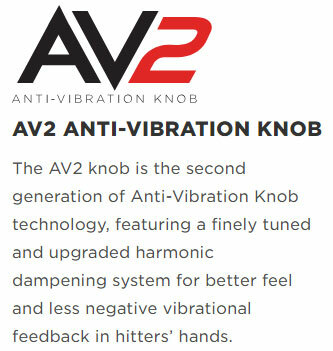 No sting or vibration felt in my hands. This bat does it all. Pros: Big sweet spot. Zero vibration. Pop is amazing. Pros: The Cat 8 bbcor is excellent. I can tell I am hitting the ball harder! Pros: It arrived quick from cheap bats. I am very impressed with the bat so far after 3 practices and 1 game. It is even better than the Cat7 bbcor. Pros: Balanced and great pop! My son is asking for this bat for christmas. Is this a good bbcor bat? The Marucci Cat 8 is one of our favorite BBCOR bats ever. It is also one of the best selling BBCOR bats this year. We have hit this bat extensively ourselves and we love it. Is this a 2018 model or a 2019 model? This model was originally released with the 2018 line of bats from Marucci. What is the difference between the CAT 7 BBCOR and CAT 8 BBCOR bat? The Marucci BBCOR CAT 8 is constructed out of Marucciâ€™s newest and highest-grade aluminum, AZ105 compared the AZ4X, which the CAT7 is produced from. 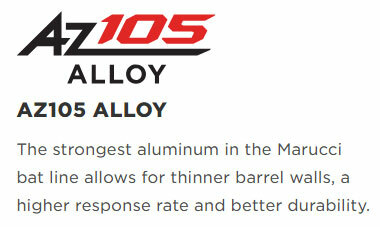 The AZ105 aluminum is a stronger aluminum, which allowed us to engineer higher performance at the sweet spot and also thinner walls off the sweet spot creating more forgiving areas with higher performance, but the same durability as before. 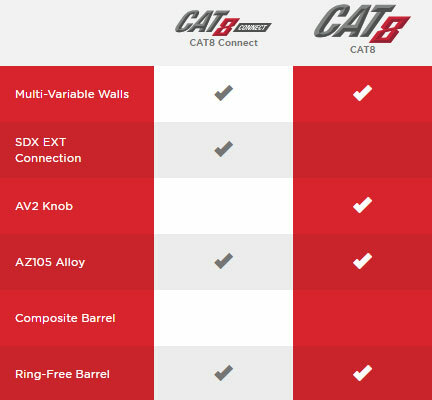 The CAT8 BBCOR also features up to 8 variables of wall thickness compared to the 7 variables of wall thickness as found on the CAT7 bat line.